In the past few years, the use of machine learning approaches to solve problems and perform complex tasks have been increasing. Machine learning enables us to use big data to perform complex tasks, such as image classification and speech recognition. Furthermore, Apple recently announced a framework built to simplify the process of integrating machine learning models into macOS, iOS, tvOS and watchOS devices, called Core ML. Apple also provided sample Core ML models to test the framework. When Core ML was first announced, it was quite a challenge for software developers to create their own custom Core ML models because it required previous experience in machine learning. However, thanks to GraphLab and Apple, now we have Turi Create, a framework that enables us to easily create Core ML models. 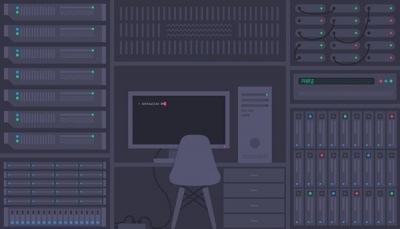 Turi Create provides us with essential machine learning algorithms, such as k-nearest neighbor, and advanced deep learning algorithms, such as Residual Networks (ResNet), in order to create our own machine learning models. 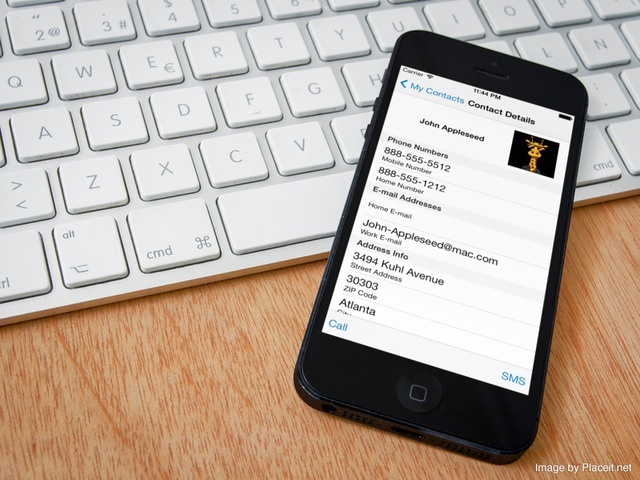 In this tutorial, we will demonstrate how to create a custom image classification Core ML model and integrate it into an iOS application. To do so, we will use Python 2.7, Turi Create, Swift 4.0 and Core ML. Note: For now, Turi Create only supports Python 2.7. To begin, we will first install Turi Create using the Python package manager, pip. The package manager comes with Python when you install it on your machine. In the MLClassifier folder, create a new folder named dataset. Inside the dataset folder, create 2 empty folders named rice and soup. Inside the rice folder, add at least 100 different images of rice. Inside the soup folder, add at least 100 different images of soup. Turi Create simplifies the development of custom machine learning models. You don’t have to be a machine learning expert to add recommendations, object detection, image classification, image similarity or activity classification to your app. > Given an image, the goal of an image classifier is to assign it to one of a pre-determined number of labels. It’s time to train and export the machine learning model for production use! To do so, we will train our machine learning model using SqueezeNet architecture option provided by turicreate. Next, create training data using 90% of the dataBuffer object we just created and test data using the remaining 10%. You should see the following message. Just be patient and wait. A few minutes later… You will have the CoreML model ready to implement into any iOS, macOS, tvOS, or watchOS application! 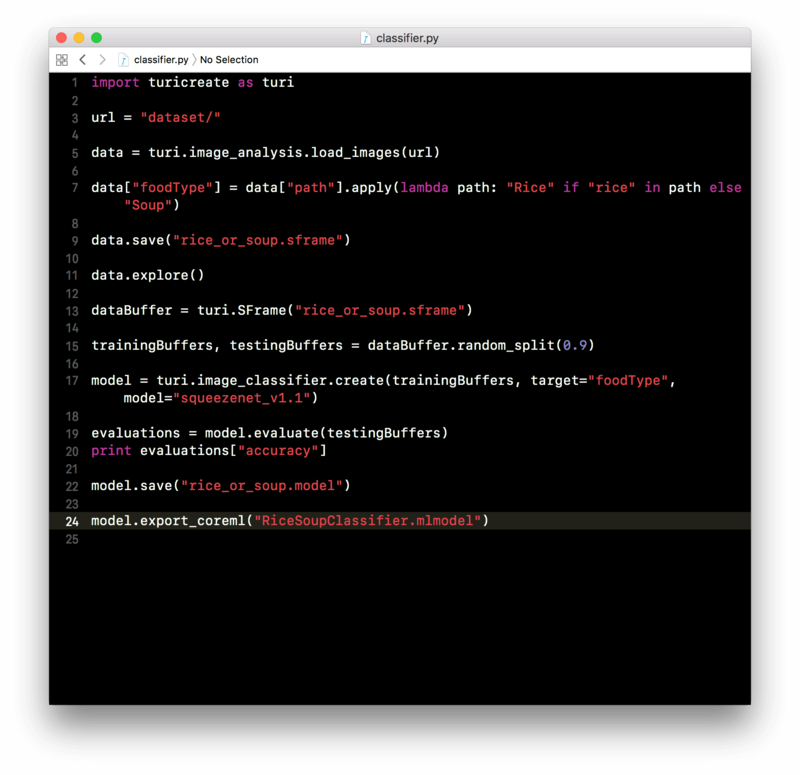 Now we’re ready to integrate the custom CoreML model we have just created into an iOS app. If you’ve read our introductory tutorial of Core ML before, you should have some ideas about how to integrate the CoreML model into an iOS app. Therefore, I will keep this part short and sweet. 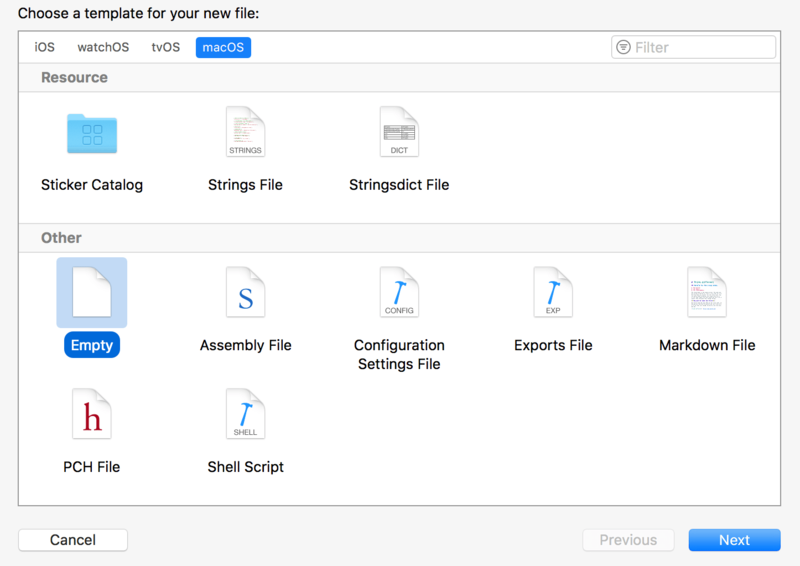 First, create a new iOS project using the Single Application template. Name the project to whatever name you like but make sure you use Swift in this example. 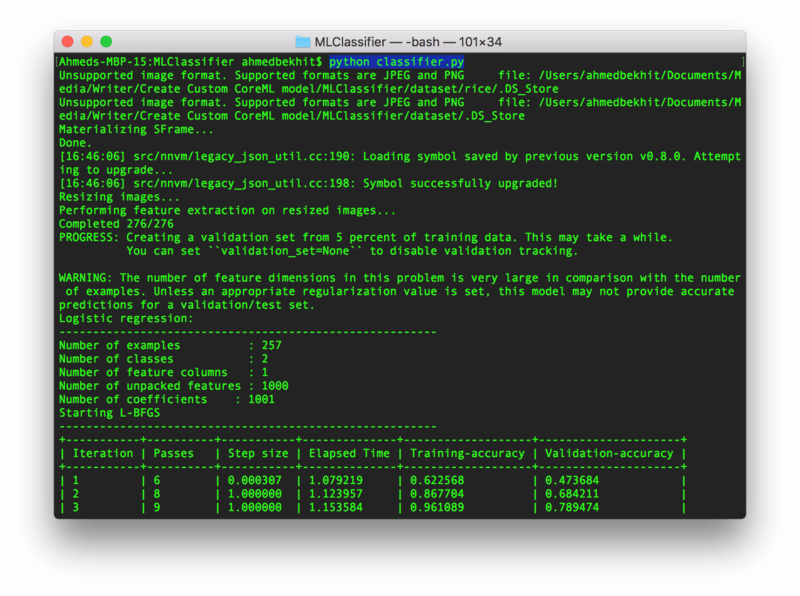 To use the model we just created, drag the trained CoreML model (RiceSoupClassifier.mlmodel file) into the project. That’s it! Have fun. Run the app and click the Import button to test it out. Now you should understand how to create custom machine learning models and implement them into your applications! To download the full project, you can find it on GitHub. If you have any questions or thoughts on this tutorial, please leave me comment below and let me know.